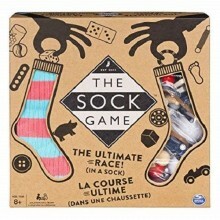 The Sock Game is the perfect addition to family / Party game night. Put your sensory skills to the test and try to find the items in the sock before the other team. The Sock Game is the perfect addition to family game night, The Sock Game puts your sensory skills to the test! Included in each set are two socks and a crazy assortment of random items. The game begins as a player (or a representative from each team) turns the spinner on the board. Once the arrow lands on an object, players race to reach into the sock and feel their way to the chosen object. Hurry as fast as you can – the first player to find their object wins a point! You can even customise your Sock Game by throwing items from your home into each sock and writing them down on the board’s blank spaces. Fun for adults and kids alike, The Sock Game can be played with two players or two teams. This interactive family game encourages players to work together as they share hilarious moments! 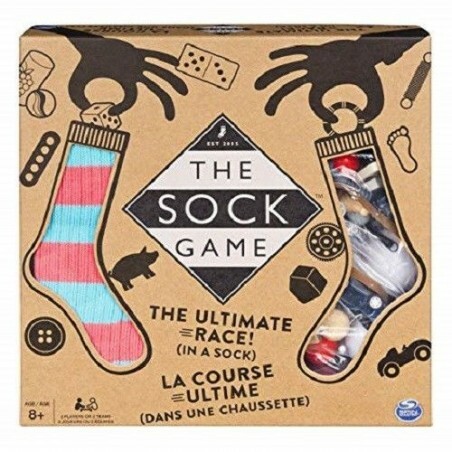 Reach in for tons of family fun with The Sock Game!